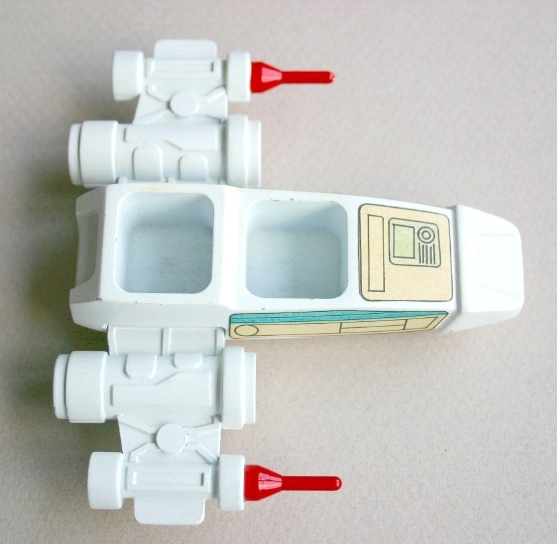 Kenner's attempt at a Star Wars pre-school line began circa 1978-1979 and is among the most interesting of all the planned-but-never-released Kenner toys. Here you see an overhead view of the items. 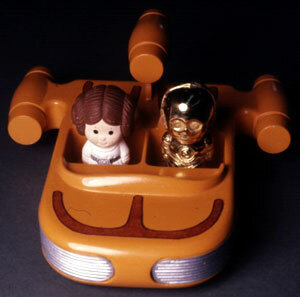 The X-Wing and Landspeeder are the only two vehicle toys known to exist for this line, and the only figures for the line were Leia, Luke, R2-D2 and C-3PO. 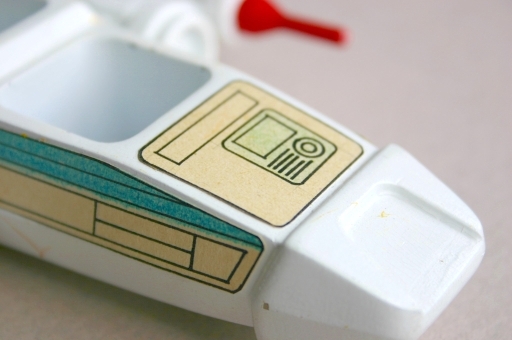 These vehicles are painted wood models and the labels are hand-painted on paper. 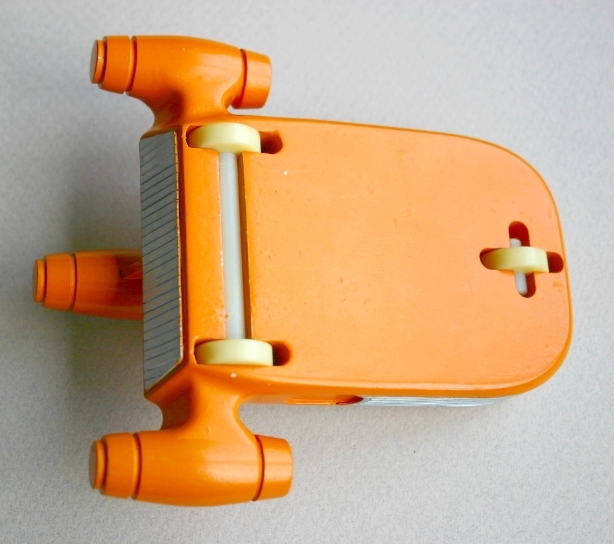 It was a one shot presentation model with no thought of reproduction. The figures are hand-decorated original sculptings and are the only copies of the figures from the original concept. They are still in fine condition years later. 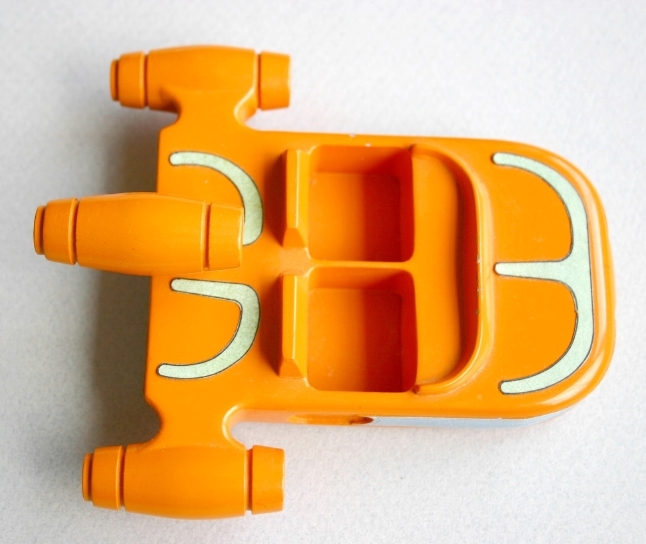 Here is a closeup of the top and bottom of the landspeeder. 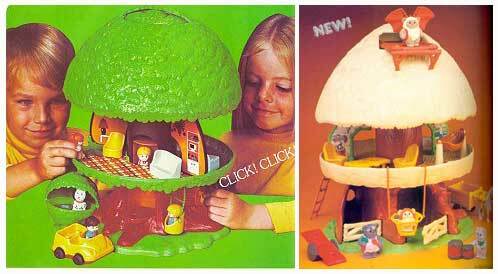 Note the hand-painted labels on the toy. 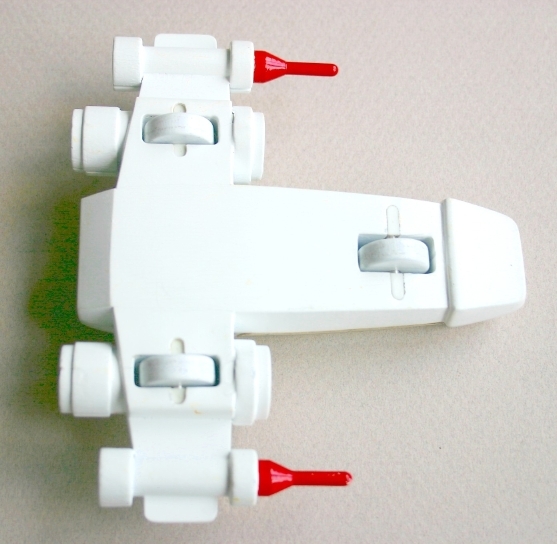 During the Star Tots era, the preschool toy line concept appeared to get further along in production with prototype displays under consideration, visible here, which likely was used to pitch the line, either internally at Kenner or to retailers. 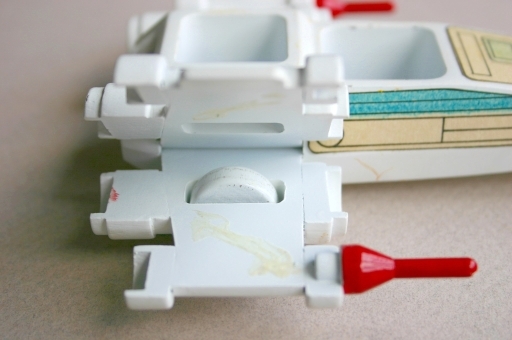 Conceptual paintings of these toys can be viewed here and here. 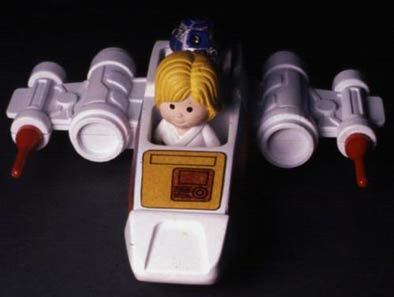 The presentation of the Star Tots line also used the same hand-made prototypes from the preschool Star Wars proposal from years earlier. 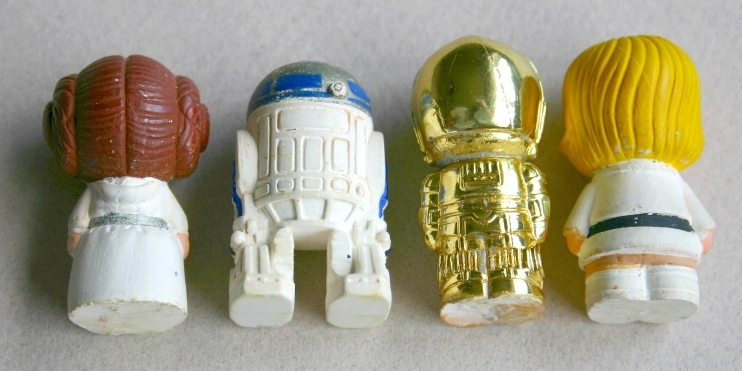 It is during the "Star Tots" era that additional hardcopies of the "Star Tots" figures were generated from a mold pulled from the original sculptings.